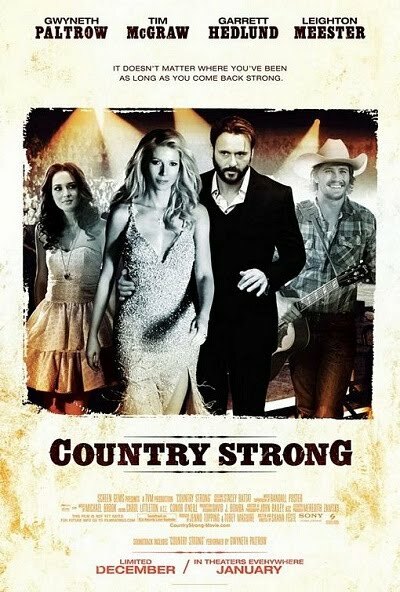 Amber Lehman Styling: "Country Strong"
It's a pretty exciting day when there's a movie shooting in Nashville. It's an even better day when you get the phone call to come style the movie poster with Mark Seliger, one of the most well-known photogs in the world. Granted, my "styling" of the poster amounted to me running back and forth to the movie trailer to get the right outfits, and then, the pics are nowhere to actually be found on the poster. Oh well, I had a really nice convo with Leighton Meester, and somehow managed to remain semi-cool despite how nervous I was. I will say, her hair is in fact that shiny in person. And she is very cool. Fast forward to last night, and we got to pick a little get-up for Steel Magnolia for the red carpet at the premiere. Meg is wearing a super-cute dress by Ani Lee, and earrings by Madewell.